A great premise, but expectations weren't met. When I read the description of this book, I immediately requested it on NetGalley. 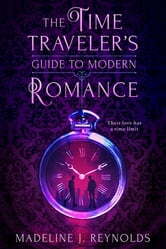 A cute time travel LGBT YA romance? Sign me up! Unfortunately, this book didn’t live up to the expectations. 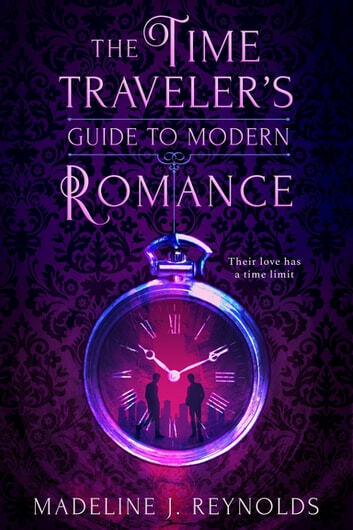 The Time Traveler’s Guide to Modern Romance tells the love story of Elias and Tyler, two teens separated by 200 years in time. Elias lives in Victorian London and has some problems fitting into society and with what his family expects of him. So his grandad gives him a pocket watch that allows him to time travel. He then meets Tyler, an American bisexual boy that lives in present time. Cuteness ensues. Since the moment I picked up this book, the writing style didn’t speak to me. It was too flat, especially taking into account that the first chapter happens in Victorian London and everything about the writing was similar to the second chapter, that occurs in present time. The dialogue sounds stilted and awkward at times, and there’s this moment where Tyler has the same conversation with two different characters back to back. There’s barely any intrigue and the more angsty section of the book, which is usually my favorite, didn’t work for me. There’s this small plot twist, about 70% in, that could be REALLY dramatic, but it's solved way too quickly, and it barely has any repercussions. And that’s an ongoing theme on this book. Every time something that can change the pace and the direction of the story happens it is solved within 10 pages, and everything moves on swiftly. Including the time travel, that should have much more strict rules. For a book about time travel, this story has no sense of time. Almost from the beginning, Elias and Tyler agree that they will set a time limit of two weeks to see if Elias adjusts to present America. However, time isn’t mentioned again during the book. So you have no idea if the book takes place in 4 days, 2 weeks, a month or a year. In this book, we follow Tyler and Elias POVs. Even so, every character in this book felt flat and two dimensional. I couldn’t connect to any of them, but they also didn’t get on my nerves, so at least it was meh.  Tyler was a little weird. I wasn’t sold on his relationship with his friends, it seemed that he only hang out with them because he didn’t want to be alone. And, apart from him wanting to be a filmmaker and having two crushes on a couple that is dating, I don’t know anything else about him.  Elias was cute at times, especially when he was amazed by everything that happened around him. But I can’t fathom how he could just disconnect from his family. Yes, he was angry with his parents and he wanted to run. Okay, I get being impulsive. But of course there were going to be repercussions. And, although they were solved, it was so lightly done that I couldn’t feel anything. I won’t mention anyone else because I honestly don’t care about any other character. Beware, this is insta love. Finding someone cute when you meet them? Okay. Attraction? I can bear. Feeling safe holding someone’s hand 30 minutes after meeting them? Too much. Elias and Tyler fall in love way too quickly and actually get codependent at times. Their first kiss can be seen in a slightly problematic light, and it’s that trope of “can you show me how to kiss?” Nope. I’m not here for insta love. Sadly, I can’t recommend this book. It was not bad, I don’t hate it. But it’s meh. And I don’t want to recommend meh books to anyone.